This post contains spoilers for all current seasons of Game of Thrones as well as all published and unpublished A Song of Ice and Fire material. Update 1/11: "I think it will be out this year," Martin wrote in a LiveJournal entry. Find his full comments and the timeline of his progress below. George R.R. Martin is many things: writer of arguably the greatest fantasy book series of all time, obsessive New York Jets fan, cameo-appearance-maker in deleted scenes of unaired pilot episodes, and unabashed wearer of Greek fisherman's caps. He is also a very methodical writer. Martin, for his part, has never been silent or coy about his writing progress. Writing great things takes time, though. As he mused in January Magazine in 2001, long before Thrones went supernova or TWOW was on anyone's lips: "Sometimes you eat the bear and sometimes the bear eats you." Here's every major update we've gotten on that bear since TWOW was formally announced. Last spoiler warning! Don't let your joy for the books turn to ashes in your mouth. Dancing over the grave of his "Kong," Martin took to his blog to rejoice in finishing ADWD, and revealed that he shifted several chapters from the end of that book to TWOW. "There are always judgment calls to make as to where to end one book and begin the next, since you're really dealing with one long story." So far so good. Earlier that year he explained in a revealing profile in The New Yorker: "The more readers you have, the harder it is to keep up, and then you can't get any writing done." It's a chapter featuring Theon Greyjoy's point of view, and was first published on George R.R. Martin's website as a holiday gift to his readers and is archived online. It's currently available for free on the World of Ice and Fire mobile app. This is the first of two chapters released starring Arianne Martell, who doesn't appear in Game of Thrones. An archived version of it is available online. It's currently available for free on the World of Ice and Fire mobile app. Victarion Greyjoy is a POV character in the books who does not appear in the series. Martin read from the chapter at Toronto International Film Festival and one noble Redditor even transcribed it. In an interview with the Tumblr Nobody Suspects the Butterfly, Martin confirmed: "I have 200 pages of Winds of Winter in their definitive version, and another 200 more that I am revising." The conventional wisdom among the fandom is that 2012 is when Martin began writing the book in earnest. Nonetheless, he cautioned: "They are in an early stage, so they need more work and I need to polish more details until they read the way I want. Bear in mind that the MS of the last book, A Dance With Dragons, had 1,500 pages, so I still have hundreds of pages ahead of me. An Arya Stark (going by a pseudonym) POV chapter, this was posted to Martin's site and is archived online. It's also available on the World of Ice and Fire app. One of Tyrion Lannister's chapters was read at WorldCon of this year. It is now available on the World of Ice and Fire app. Ser Barristan may now be dead as of Season 5, but he's alive, well, and a POV character in the books. The chapter is now currently available on the World of Ice and Fire app. Set in the world of ASOIAF, this novella tells the story of the "Dance of Dragons" -- a fictional war that took place in Westeros's past. It's a riveting action-packed read, but it's no TWOW. "I don’t want to sound too glib about this," he told Vanity Fair at the time. "This is a serious concern." In this interview, he lays out his initial publication schedule for the books -- which had begun in the '90s as a trilogy of A Game of Thrones, A Storm of Swords, and The Winds of Winter. That changed after the books grew long and unwieldy, and as the ambition of his story and worldbuilding expanded. 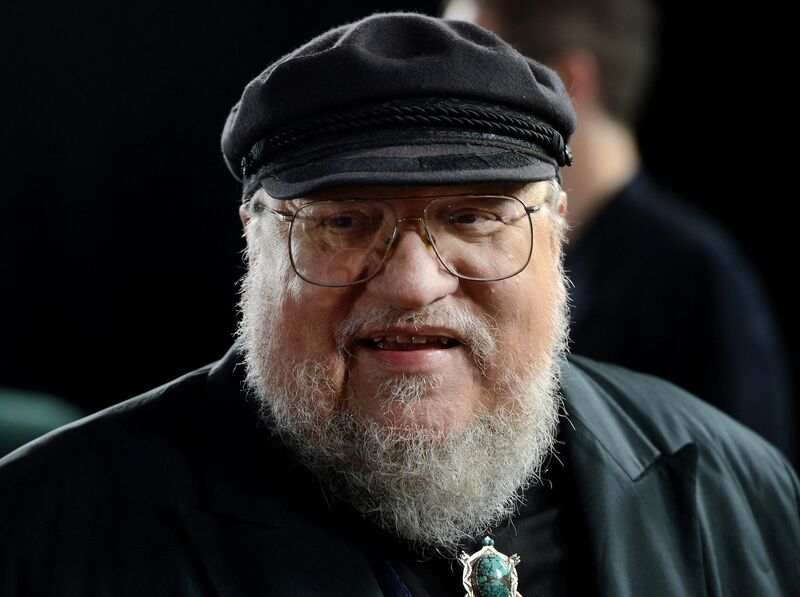 With the idea that the show would take several years to cover material in A Feast for Crows and A Dance With Dragons, Martin reasoned, "long before they catch up with me, I’ll have published The Winds of Winter, which’ll give me another couple years. It might be tight on the last book, A Dream of Spring, as they juggernaut forward." Plot points like the introduction of the Night King and other material previously unpublished in the books began to creep into the show in Season 4. Set hundreds of years before the events of the main series, this is a prequel to The Princess and the Queen and establishes the events and relationships that factor into the conflict that comes to a head in that novella. It's fun, and full of feuding Targaryens, but it's not TWOW. Following up the madness of Seasons 3 and 4 of Game of Thrones, Martin took to the Emmys red carpet to tease a TWOW featuring "plenty of deaths, including some viewpoint characters." A companion book to the entire series, Martin wrote this with his longtime fans Elio M. García Jr. and Linda Antonsson, as a large appendix to the series. "This one-of-a-kind coffee table book contains maps, folk lore, detailed family histories, and endless insider information dealing with the world of Westeros," he boasted on his blog at the time. It's a great tome, and comes with a companion app, but it's no TWOW. This passage from a Vulture interview with Martin all-but reveals that the two characters' fates would intertwine, as teased in previous books. [H]e does offer up one tidbit—a reminder that the royal Daenerys Targaryen was given the histories of her world as a wedding gift but neglected to read them. "But you know who does know a lot of that?” he says coyly. "Tyrion." These two characters, who have thus far not met, seem to be headed for a dramatic encounter; is he dropping a hint about how it will go? Martin chuckles and stays mum. By the end of Season 5 of Game of Thrones, this meeting had happened on the show. Martin took to his blog to denounce a Twitter rumor that he had OK'ed a "12 days of Christmas"-esque countdown to -- surprise! -- the publication announcement for TWOW. Not so, and he also took the opportunity to denounce a Star Wars connection to his books: "Made up out of whole cloth, so far as I know." This Sansa Stark (under the pseudonym Alayne) chapter was posted to Martin's site and is archived online. It's also available on the World of Ice and Fire app. At the time, Martin said it was deeply important that he finish the next novel before Season 6 of Game of Thrones aired. "I wish it was out now," he told Entertainment Weekly. "Maybe I'm being overly optimistic about how quickly I can finish. But I canceled two convention appearances, I'm turning down a lot more interviews—anything I can do to clear my decks and get this done." At the time also teased a major character twist -- "This is going to drive your readers crazy” -- that, in retrospect, likely referred to Hodor's final fate that Game of Thrones revealed in season 6. A commenter asked him on his blog: "In Bubonicon you said you were writing the two last books ('I am writing both last book right now' [sic]." "No," he wrote back. "And I don't believe I said that. If I did, I misspoke." December 29, 2015 -- Deadspin theorizes GRRM "has no pages"
In a snarky blog post, the former Gawker property's editor in chief, Tim Marchman, argued that nothing GRRM had done in the past four years "suggests more books are coming our way." 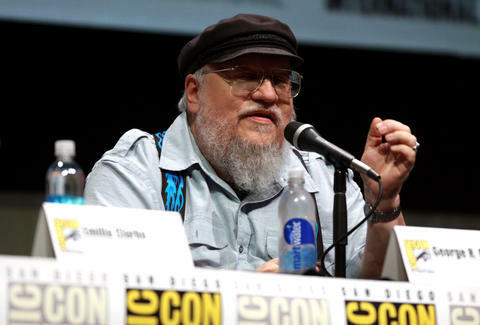 January 2, 2016 -- GRRM insists he has "Hundreds of pages." "Nor is it likely to be finished tomorrow, or next week. Yes, there's a lot written. Hundreds of pages. Dozens of chapters. (Those 'no pages done' reports were insane, the usual garbage internet journalism that I have learned to despise). But there's also a lot still left to write. I am months away still... and that's if the writing goes well. (Sometimes it does. Sometimes it doesn't.) Chapters still to write, of course... but also rewriting. I always do a lot of rewriting, sometimes just polishing, sometimes pretty major restructures." In the same blog post, he also accepted the hard truth that he would not finish the book before Season 6 of Game of Thrones, and its story would officially overtake his books. "It will be done when it's done," he wrote, before pointing out again, several characters alive in the books and dead on the show, and vice-versa. This is the second TWOW chapter released that will be told from the POV of Arianne Martell, who does not appear in the HBO series. It is available on his website as of this publication. June 23, 2016 -- GRRM asks Stephen King: How do you write so fast? King empathized with Martin: "People yell at you and say: 'We want the next book, we want the next book right away,'" King said. "They're like babies." Amazon France posted a listing for the book, stating that it would be released in March of 2017. Martin's U.S. publisher Random House responded with this statement: "As his publisher, we support George R.R. Martin as he works hard to finish The Winds of Winter. Any on-sale dates currently listed online for the novel are incorrect. Once we have a publication date for The Winds of Winter, the world will know." "This is my last scheduled event for 2016," he wrote on his blog. "My appearance schedule for 2017 is very limited, and will remain so until Winds is completed." Here's to the vacation and a singular focus after the break. "There are a lot of dark chapters right now in the book that I'm writing," he told an audience at Guadalajara International Book Fair. "I’ve been telling you for 20 years that winter was coming. Winter is the time when things die, and cold and ice and darkness fill the world, so this is not going to be the happy feel-good that people may be hoping for." We're not exactly sure which die-hard ASOIAF fans were expecting "happy feel-good," but we'll take it. "Life is meaningless and full of pain," he wrote on his blog following his NFL team's 41-10 loss to the Colts. Per prior statistical analysis of his schedule, this doesn't bode well. "Not done yet, but I've made progress. But not as much as I hoped a year ago, when I thought to be done by now," he wrote in a comment on LiveJournal. "I think it will be out this year. (But hey, I thought the same thing last year)." This story will be continuously updated with more developments until George R.R. Martin completes and finally releases The Winds of Winter, whenever that may be. We have faith, George. Eric Vilas-Boas wants George to take his time. Follow him at @e_vb_.